If you’ve been keeping up with The Palmetto Peaches, you know I’m a rising Deepak Chopra. I’ve written a few posts (Spring Cleaning with Ace & Meditation: Soul Food) about meditating. I usually rely on challenges or my favorite YouTube videos to get my meditation fix, but this time I used Headspace: a “free” app to help train your mind. For 10 days, I assumed the position before the turn-up squad (my nephews) woke up: plugged in my headphones, brewed my Yogi tea and lit my 3-wick candle. Then, I let Andy Puddicombe, the Headspace creator/narrator, and his super relaxing British accent completely put me in my zone. Previously I mentioned how I prefer to lay down when I meditate, but Andy required me to have my “hands in my lap and my soles on the floor”. No big deal, I survived. User-friendly: As a visual learner and a big kid, the animated videos helped me see the bigger picture. (Ya girl loves cartoons.) Metaphors like bad weather and traffic helped me understand the power of the mind. Example: a few dark clouds doesn’t mean clear skies aren’t ahead. Cheesy, I know, but so true. I also liked that I didn’t have to remember which session or day I was supposed to listen to. After completing one meditation, the app automatically chose the next session for me to play on the following day. Valuable information: Before choosing which meditation I was going to practice, I did a little research on the website. Under the “The Science” tab is a breakdown of the different types of mindful meditations and how they can be useful to subscribers. After reading the infographics, quotes and statistics, I didn’t feel as crazy. Price: The free app ain’t so free. 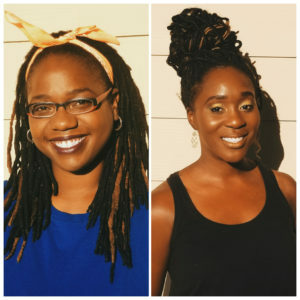 Subscriptions range from $6 to $13/month. I’m all about investing in your craft, but damn Gina. Maybe I haven’t practiced enough to make that kind of investment just yet, but there is too much free information on the Internet for all of that. Not enough time with my own thoughts: I know I mentioned loving the sessions being 10 minutes and that I love Andy’s voice, but I wanted more alone time. Homeboy Andy talked through most of the meditation, and it was a bit of a distraction. Whenever he wasn’t talking, it felt like an awkward silence. A few times I caught myself checking my phone to make sure my battery didn’t die in the middle of the session. 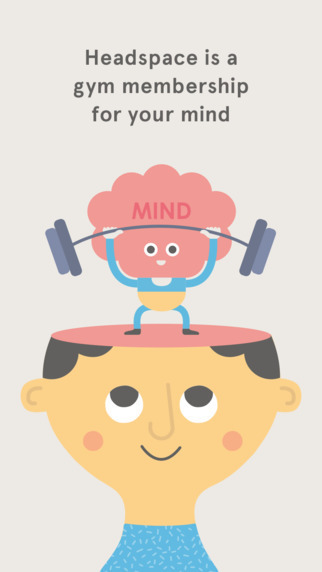 Overall, I enjoyed Headspace and would recommend “Take10” to all newbies! Annnnd, I’m super proud of myself for starting and finishing something in a timely fashion. 🙂 Still looking for guided meditations to practice and mindfulness experts to follow, though. If you have any recommendations, drop their names by leaving a comment below! P.S– if you want to give Headspace a try, download the app and let me know what you think!